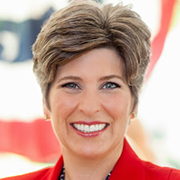 Joni Ernst is the junior U.S. senator from Iowa, elected in November 2014. At five months, an unborn baby can detect light, hear sounds, swallow, and even experience taste. These unborn babies have nails on their fingers and toes, and hair has just begun to grow on their heads. These babies feel pain. They scrunch their eyes, clench their hands, or pull back their limbs—just like any other child experiencing pain. They are even treated as patients during fetal surgery procedures, and giving them pain medication is standard practice. By any definition, unborn babies at five months’ development are in all ways babies. While modern medicine recognizes these unborn lives can experience pain, there is no federal law protecting these vulnerable humans from abortion. As a result, every year in our country, thousands of lives are painfully ended through this practice. Last week, during his State of the Union address, President Donald Trump called to pass legislation—the Pain-Capable Unborn Child Protection Act—which would recognize these unborn babies as the children they are. The bill would prohibit the abortion of unborn babies at 20 weeks post-fertilization and provide them the same protection from pain and suffering that all children deserve. Multiple states, including my home state of Iowa, have passed legislation that would prohibit abortions after five months of development, but the federal government has still refused to pass this commonsense legislation. Consider stories like that of Micah Pickering from Newton, Iowa. Micah was born at just 20 weeks after fertilization—the very point at which the Pain-Capable Unborn Child Protection Act would begin to protect these young lives. Today, Micah is a happy, energetic 5-year-old boy. Yet Micah’s story is not an isolated incident. Extraordinary examples of babies surviving after just five months of development can be found across the country. In January 2017, Dakota Harris was born in Ohio at 19 weeks of development. That May, she left the hospital with her family as a healthy 7-pound baby. Despite the clear evidence of the humanity of these children, the United States is one of only seven countries to allow abortions after five months. That means that, while an overwhelming majority of the world recognizes and protects the humanity of these vulnerable children, the United States keeps the company of China and North Korea in denying unborn children the most basic of protections. There should be no disagreement when it comes to protecting the life of an unborn child that can feel pain and, as the stories of Micah and others show, survive outside the womb. It is time we listen to the scientific evidence and the men and women across the nation fighting to preserve life. Yet in recent weeks, we have witnessed the ugly truth about the far-reaching grasp of the abortion industry and its increasingly radical political agenda, including the termination of a child after its birth—infanticide. As a mother, and strong defender of life, I couldn’t agree more. It is up to us to ensure these children have the chance to grow up and lead the happy, healthy, and full lives God has granted them. I urge my colleagues to take up the Pain-Capable Unborn Child Protection Act.